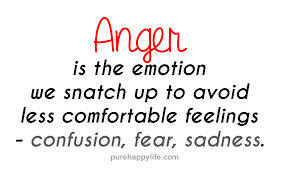 Why do you think certain situations, persons or places make you angry? What ignites the fury within when someone speaks to you a particular way? Why do we get irritated, making the hairs on the back of our neck stand on end when a person annoys or maddens us? Why do we have all of this negative sensation inside of us sometimes? Anyone that comes into our life that ticks us off is believe it or not a gift to us. A gift under a different kind of umbrella. Certain people that we made Soul Contracts with before we came to this life experience, will be the ones that we purposely chose to poke at us, sometimes with a very large wooden stick (metaphorically of course). They will poke at us in the places that hold the most work of our Soul, the work that we are here to do for the elevation of our Spirit. There will be times in our life when circumstance will exasperate us, situations that will cause us to feel the most vile wrath, other times we may feel utter displeasure and our eyes will fill with salty tears. None of this feels good inside so we dry our eyes, swallow the anger and keep marching forward. Over and over we get poked and prodded by that nasty stick, but we ignore the root of the problem and nothing gets resolved. The anger and frustration retreats back to its hiding place, a deep and dark corner inside of our Soul. Then one day, and usually out of no where we get nudged in a way that we haven’t felt before, we know this time is different and we decide to pay particular attention, perhaps we have no choice. Anger is the most painful hurt. Most often the hurt is old, and over time we have done a really great job of tucking it away in a place where no one, including ourself will find it. Deep down in our Soul the anger hides like a lion on the prowl. Every once in a while our Ego gets a glimpse of our temper, it always seems to have a way of finding the nasty and rats us out. The Ego loves drama remember. Our mind may create a spectacle of emotion, but yet again nothing gets resolved, if anything the anger has grown. Our anger holds us back from feeling happiness and joy, if only we could just let it go. Not much in this life, if it has great meaning is easy, letting go isn’t either, it is a process and one that takes great courage and stamina. But, if your desire is to be free of what is keeping you stuck and restless then embrace the journey and get to work.